We are proud to introduce a new distributor into the Nox distribution network. In cooperation with CHANJOU CO., LTD (head office located in New Taipei City) we have launched our Nox products at the Taiwanese Sleep Society Meeting 2018 in late March. CHANJOU CO., LTD has a long standing and vast experience in distributing and supporting sleep diagnostics and sleep disorder breathing therapy solutions. The whole team has been eagerly waiting for the final product registration and was very excited about our solutions after the initial training. Moreover the marketing team organized in cooperation with the Taiwanese Sleep Society a symposium in which Dr. Erna Sif Arnardottir provided her view on different aspects of the current and future Sleep Diagnostics. The speech was extremely well received and attended by almost 130 clinicians and sleep technologists. 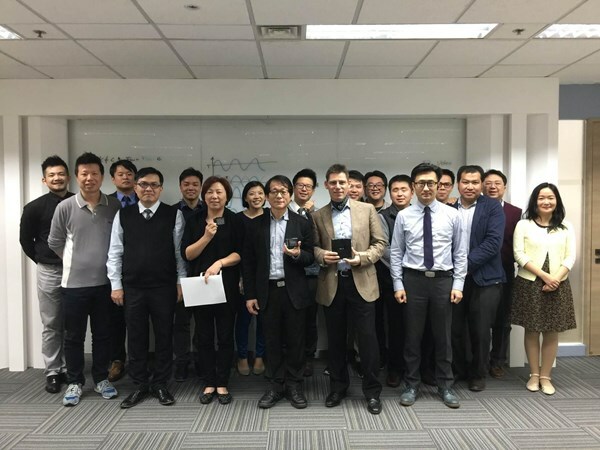 Additional discussions with leading Taiwanese clinicians and visits to customers provided excellent feedback and underlined the appreciation for our dedication and resulting solutions for sleep diagnostics. We welcome again all team members of CHANJOU and look forward to a great cooperation.